Hm.. y see like a error in the picture, a line under the nose. Do you see that or i'm the only one? 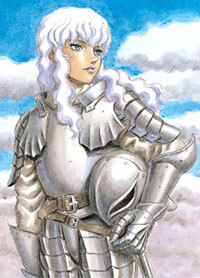 That's Miura. I didn't touch the composition, just the color. It’s avatar time! 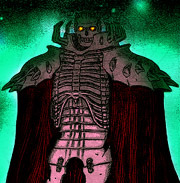 First, just some filing of stuff posted elsewhere on the board, and then the big finisher, a brand new avatar! OMG!! 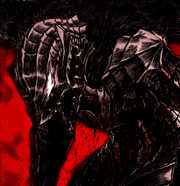 Pretty cool bloody Guts shot from the Troll affair. 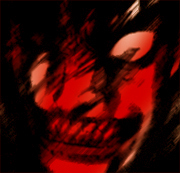 Guts “exploding” with anger at Slan. 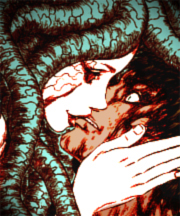 Slan giving Guts some love. Skully, looking a little Christmasy, if I do say so myself. Ive tried making avatars. I really like the cinematic one of gutts breathing in the cold. 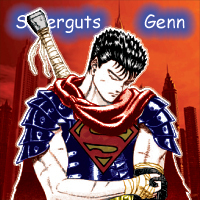 here is the one i made for Genn21 (superguts). Had an epiphany with this one. Had to give it a nice frame. Our good old pal The Ganish. Just remembering him makes me all misty... His buddies were thrown in too. And a few more oldies were revamped... Because they were grossing me out. These will ultimately be incorporated into the avatar selection for the BBS, but I'm waiting for Griff's artistic approval, as always 8). What am I, a machine? Make your own goddamned image. I'll take that one. Wait, on second thought it's a little too dark for my taste. If you could also post the regular version of it I'd be most appreciative. I tried to get Walter to make one like that but he deleted my post. It was filled with a big pic that just took up space, should have just posted a link. Good coloring job on the avatars Walter. I decided so as not to take up too much space here are some pics. I drew none of these, they are either parts of wholes of other pictures tweaked using my computer. You hate my Gaiseric avator? I love it...a bit too fast there though..."nice one brotha'"
I stuck up for it, Sparnage. Gotta represent, yo. Heheh, still maybe I should update to the new Gaiseric one displayed. "Oh well, whatever" indeed. These things take time and effort. I don't do requests unless it also meets my own interests. By the way, could you bring me a coke on your way out? The fridge is just right there, and Im only in North Carolina. Whoa! Don't be so quick to anger! I just want a coke!